WASHINGTON — One of the best ways for Asian American, Native American and Pacific Islander students to move from the margins of higher education to the mainstream is for colleges and universities to institutionalize the programs designed to serve them. That was one of the major themes to emerge Friday at a gathering meant to celebrate the 10th anniversary of the establishment of Asian American and Native American Pacific Islander-Serving Institutions — or AANAPISIs. The federal designation is for degree-granting institutions that have a full-time equivalent undergraduate enrollment of at least 10 percent Asian American students or Native American Pacific Islander students. There are currently 35 such institutions nationwide, and they are eligible to apply for AANAPISI grants meant to strengthen their institutions. 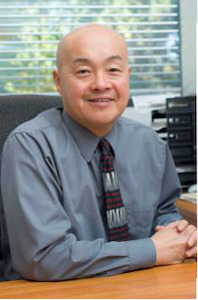 In order for the programs to have the desired effect — namely, the success of AANAPI students — college and university leaders must take the lessons learned from the programs and make them part of their overall operations, said Dr. Kim Geron, principal investigator for Transfer Asian Pacific American Student Services at California State University, East Bay. “You have to build your institutional support,” Geron said. But the task can be difficult, according to Dr. Timothy Fong, project director and principal investigator for the Full Circle Project at California State University, Sacramento, because of what he lamented was many college leaders’ lack of familiarity on just what being an AANAPISI entails. “It takes five years just to get your institution to realize what the heck an AANAPISI is,” said Fong, who spoke of the success and challenges of the Full Circle Project at CSU Sacramento. Various speakers also mentioned the challenge of dealing with federal restrictions that prevent — in certain situations — an institution from simultaneously having AANAPISI grants and Hispanic Serving Institution, or HSI, grants at the same time. Grant-seekers may be tempted to go after HSI grants instead of AANAPISI grants because there’s “more HSI money, more opportunities,” Fong said. One solution to the problem is to focus on the institutional-strengthening aspect of the grants as opposed to the ethnic groups they are meant to serve, several speakers said. “Honestly, that’s the way to go,” Fong said. Dr. Julie Ajinkya, vice president of applied research at the Institute of Higher Education Policy, reiterated the point. “We are unfortunately competing instead of, honestly, collaborating,” Ajinkya said. “I’m hoping the conversation today can think about what are some of the common policy solutions” that can help communities of color. Having reliable disaggregated data is part of the process, she said. “So instead of figuring out how to compete against each other, we figure out how to disaggregate the data without dividing the community,” Ajinkya said. Friday’s discussion was convened by the Asian & Pacific Islander American Scholarship Fund, or APIASF, as part of the organization’s inaugural “Summit: ELEVATE.” The event drew dozens of educators, administrators and students from around the country. One of the most emotional segments of the event took place when a young aspiring teacher asked how she could “disrupt” the system when it seems the system has pre-determined the odds for educational success for students who come from low-income families or whose parents were not college-educated. The question struck a chord with Dr. Phitsamay Uy, a professor at the Center for Asian American studies at the University of Massachusetts Lowell. Uy tearfully recounted her own experience as a refugee who came to the country at age four and whose parents made only $11,000 a year to support a family of six. Still, she said, she went on to become the first in her family to graduate from college and also earned a master’s degree and a Ph.D.
Jamaal Abdul-Alim can be reached at jabdul-alim@diverseeducation.com. You can follow him on Twitter @dcwriter360.